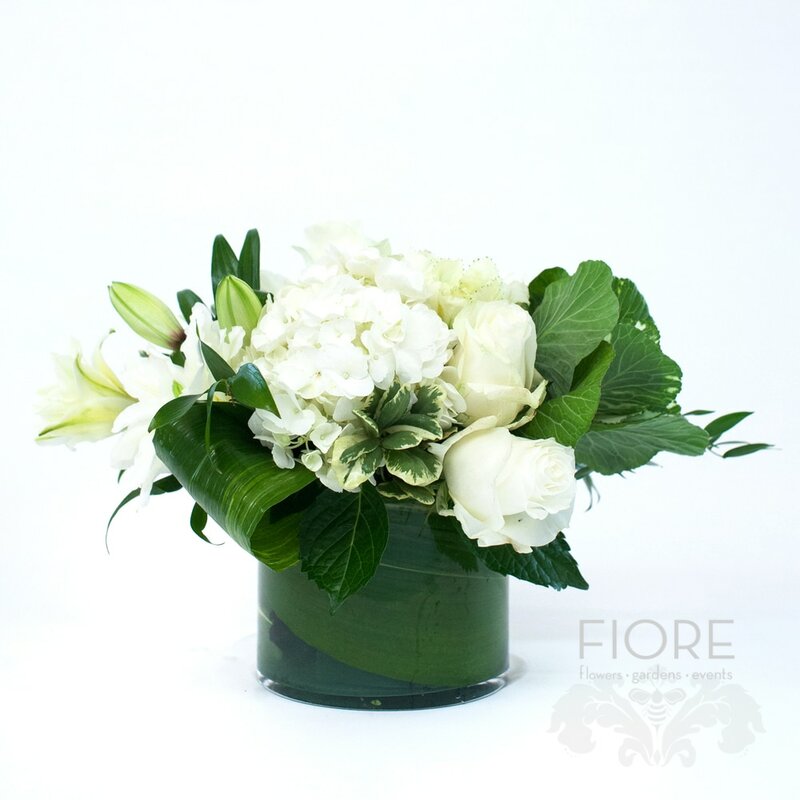 A monochromatic arrangement in an low glass container. Simply modern contains an assortment of seasonal white flowers, such as hydrangeas, lilies, roses and stock, mixed with beautiful greens. All container and floral selections may have comparable substitutions made based on availability. We work hard to make sure every bloom is of the highest quality. The colors within the design chosen will not vary, however the color of the floral variety may. All varieties listed will be represented within the color palette of the design chosen.